Album Launch Dec 1st, Gallery 36, Exeter! Songs, stories and verse! What more could you want? Award winning poet Fiona Benson, international storyteller David Healthfield and myself bring you a wondrous night out at Gallery 36. In case that isn’t enough, enjoy all of this whilst surrounded by Veronica Goslings energetic and unique artwork. If you do have to cancel, let us know asap so we can offer the space. David Heathfield tells stories from around the world transporting us to every country with his warm charm, showing us the joys and sorrows of the human heart. 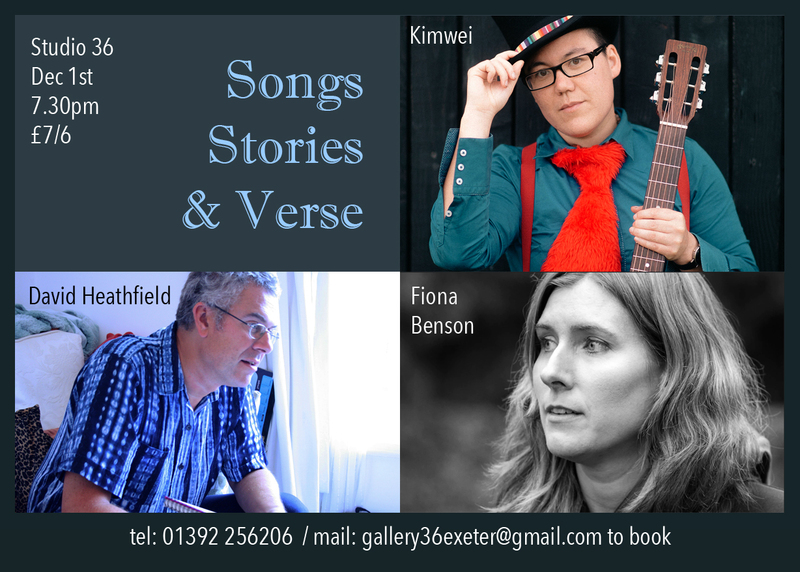 Kimwei is the Bard of Exeter and presents the evening as part of his mission to bring together the Bardic Arts: Storytelling, Poetry and Song.